Eight handmade Candy Floss marshmallows. Soft, sweet and delicious! 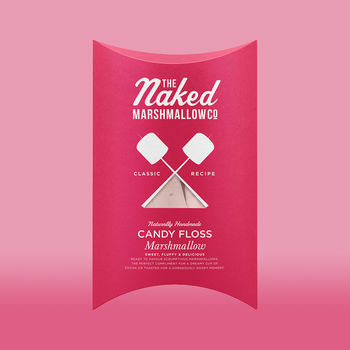 Our heavenly candy floss marshmallows are handmade using natural flavouring, colouring and only ever fairtrade sugar. Delight in these mallows straight from the box, swirl into a luscious cup of cocoa, or have an extra-cosy marshmallow moment with our best-selling Toasting Kit!